This is a map of Liverpool and Birkenhead which was once part of a larger volume: the Illustrated Globe Encyclopedia of 1878. It’s most similar to the Plan of Liverpool from the Royal Atlas of England and Wales (1898), though it could be said to be more attractive than the later map. At first glance it might look like nothing has changed in the 20 years between the two maps. But look closely, and you’ll see that by 1898 the terraces have encroached on Stanley Park, whereas on this map the park is still next to largely open fields even on its western edge. On the south east edge of the town we can see Edge Hill Station as something right on the boundary. Nearby the terraces are caught mid-construction. Edge Hill is not wholly consumed by the town by 1898, but progress is clear. Another feature of this old map of Liverpool is the list of marked buildings. The key to this is at the bottom of the map, and you will find letters dotted about the city itself. The “Public Buildings, Institutions etc” are the ones named in this list. There is also a list of “Streets for which there is no room on the Plan” such as Fenwick Street, Red Cross Street and College Lane. These are smaller thoroughfares to which the mapmakers still want to draw attention. Interestingly, individual buildings are marked, which I find unusual for such a small map covering a large area. There are cottages, houses and schools with labels, like those found on the Plan of Liverpool, both North and South Sheets, though arguably in more detail on this map. Finally, this map includes an equally detailed map of the Wirral coast closest to Liverpool. Birkenhead’s grid iron of streets is marked, as is the Abbey, a tannery, a lime kiln and other industrial sites. You can also follow the railway through the middle of the small town. 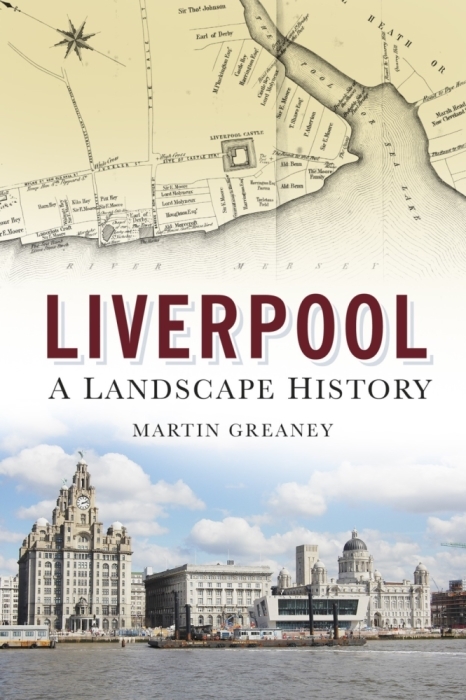 This map is great for getting an idea of Liverpool as it experienced some of its most rapid expansion. Birkenhead was part of this prosperity, with its own Pool and docks. Many of Merseyside’s richest moved out to the Wirral, just like they did to West Derby and Anfield when they were rural villages. The plan shows Liverpool’s industries, and lets you look through the docks, the parks, cemeteries and public buildings with clarity. As with many of the other Victorian maps on this site, it’s also an attractive representation of a city at the height of its powers.